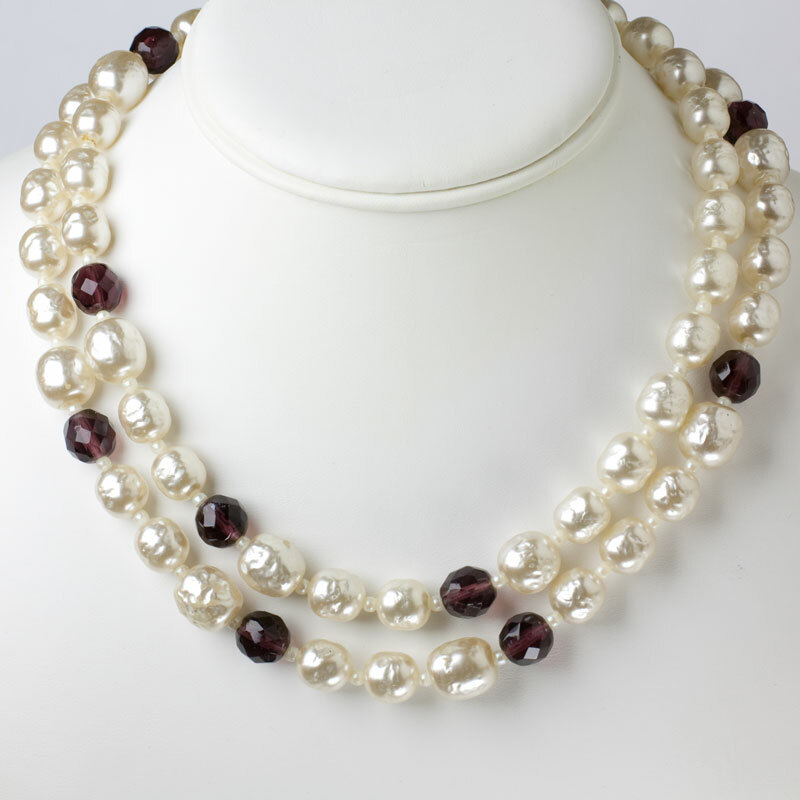 June birthstone jewelry features the pearl, a gemstone that has always had universal appeal. 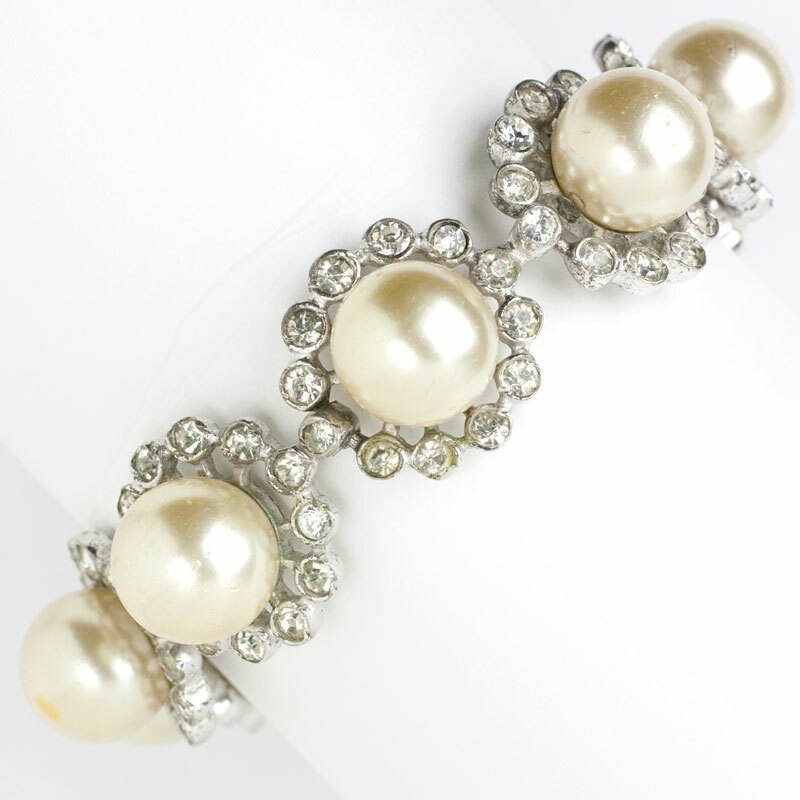 Once the most expensive gem, pearls became affordable in the early 1900s when the process of culturing pearls in saltwater was introduced in Japan. 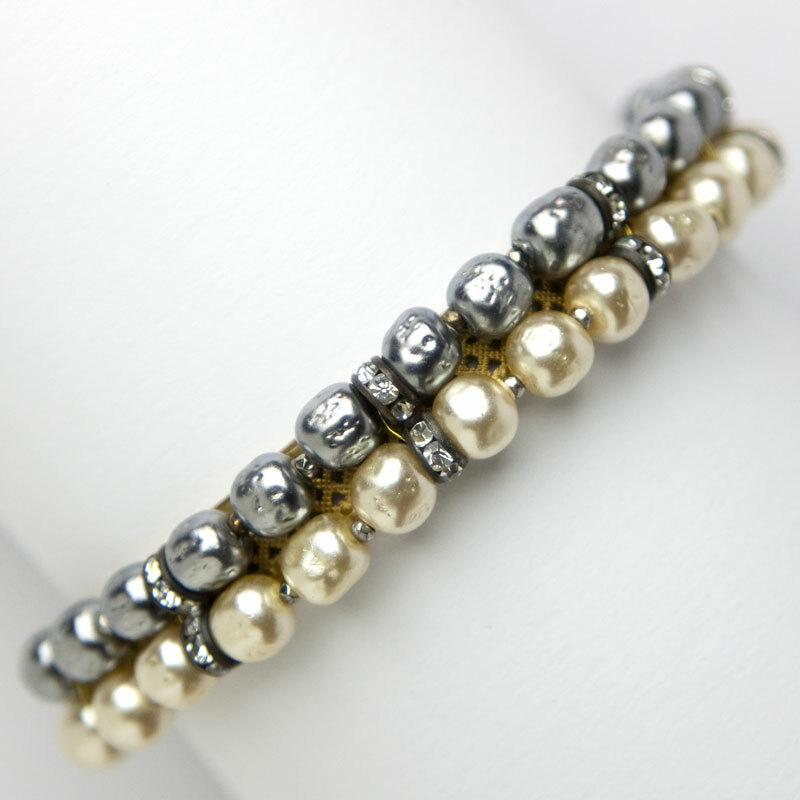 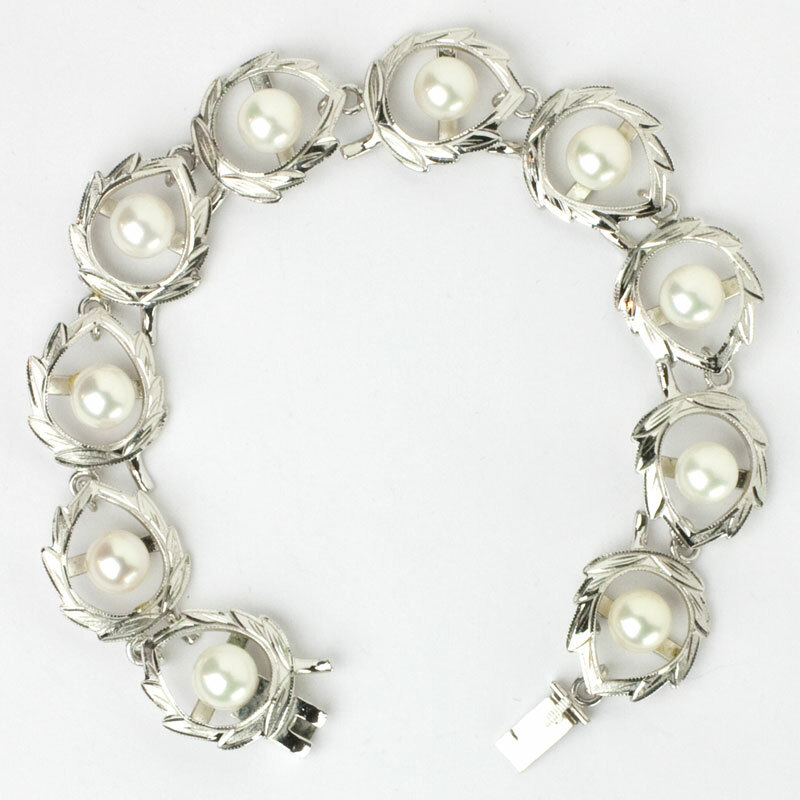 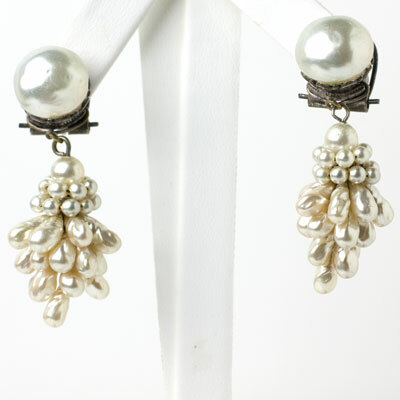 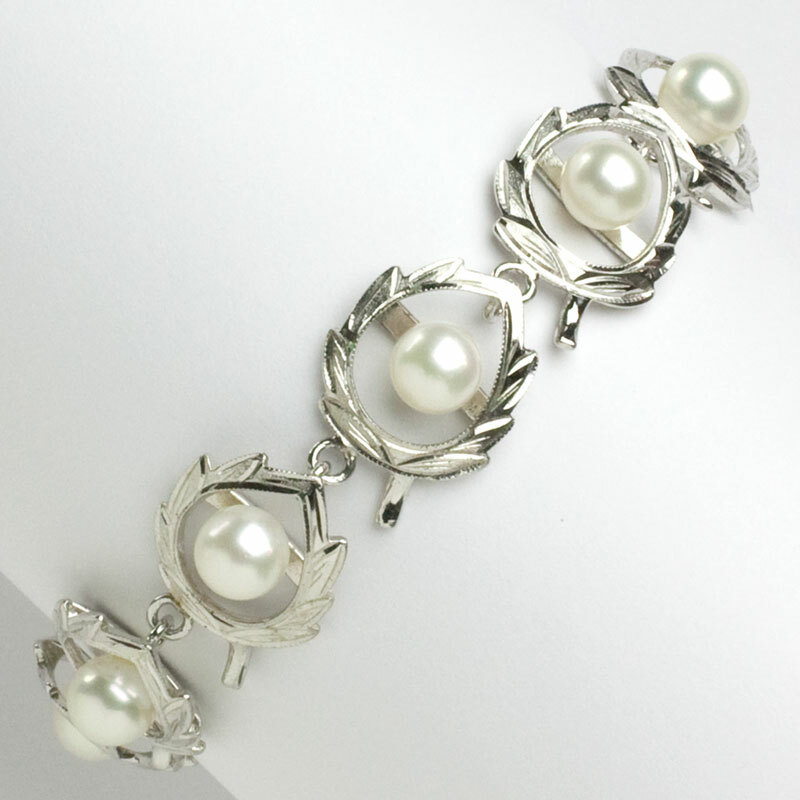 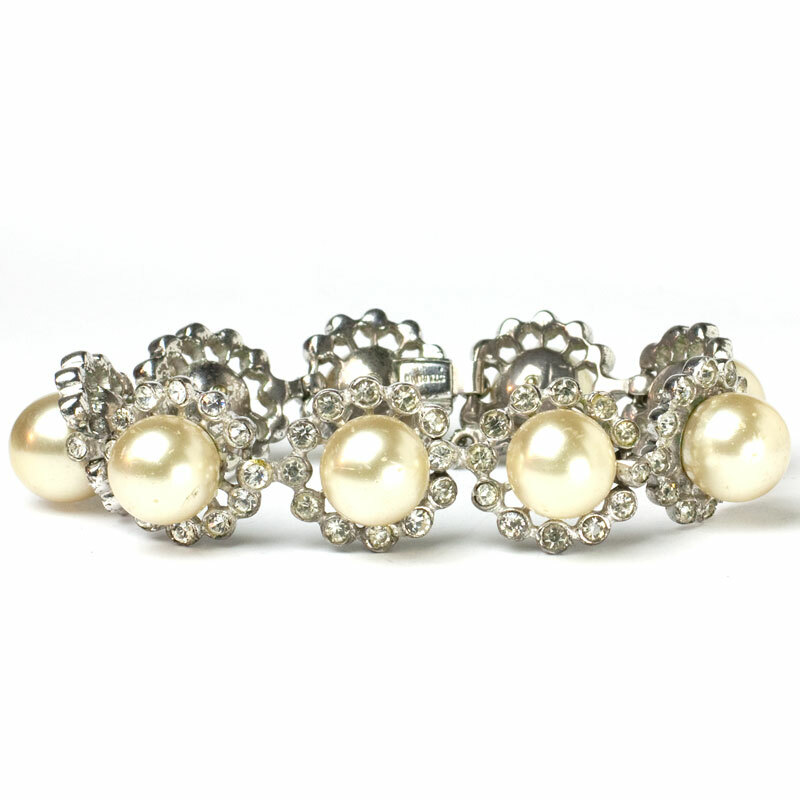 Artificial pearls were first made in France during the Renaissance. 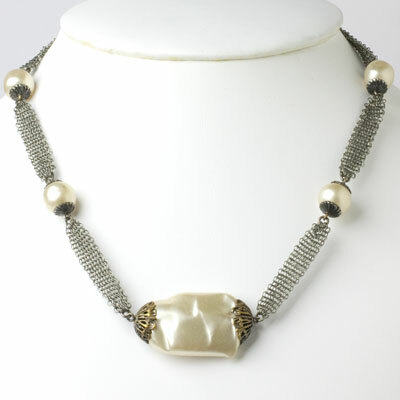 One of the premier makers in the first half of the 20th century was Louis Rousselet. 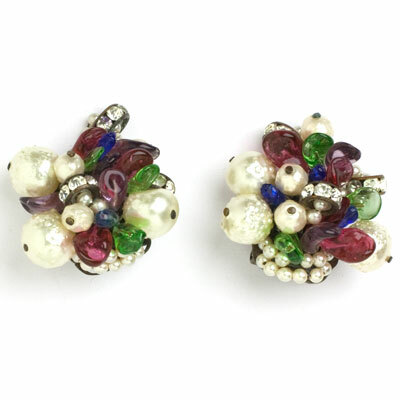 Many of his pieces are included in this collection. 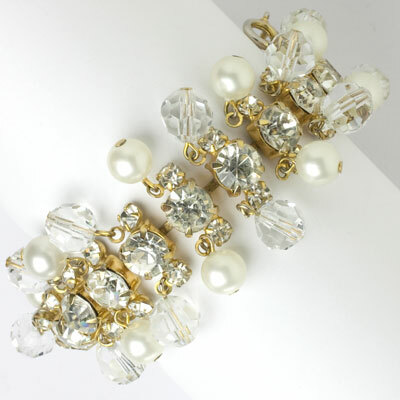 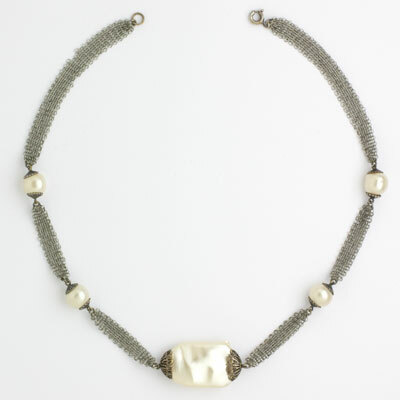 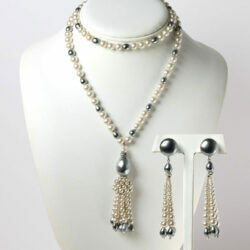 You will also find pearl pieces by Miriam Haskell and Hattie Carnegie as well as unsigned beauties. 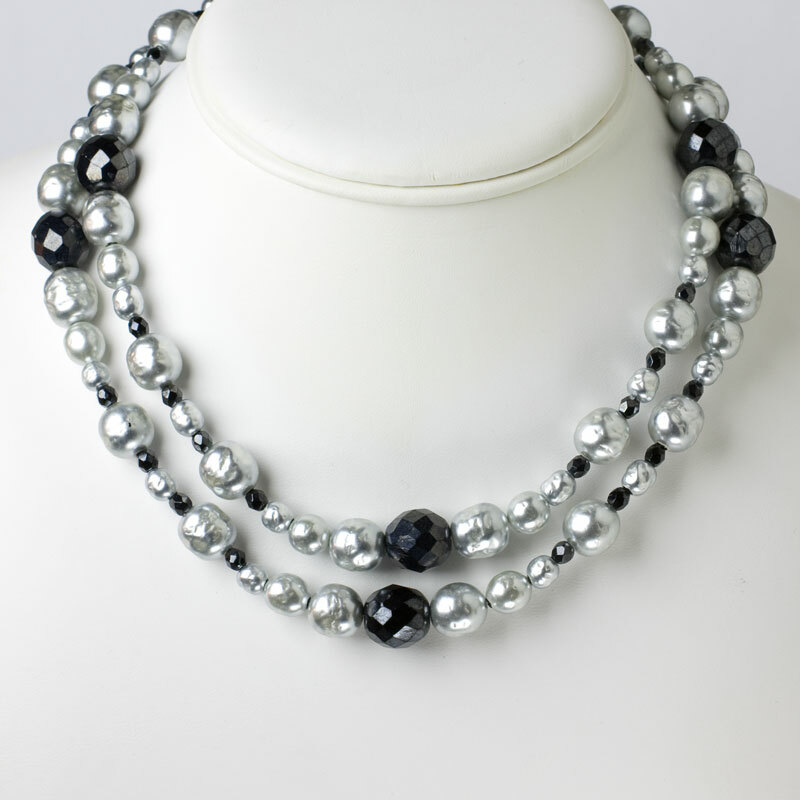 Read my blog post with styling tips for a Rousselet pearl necklace. 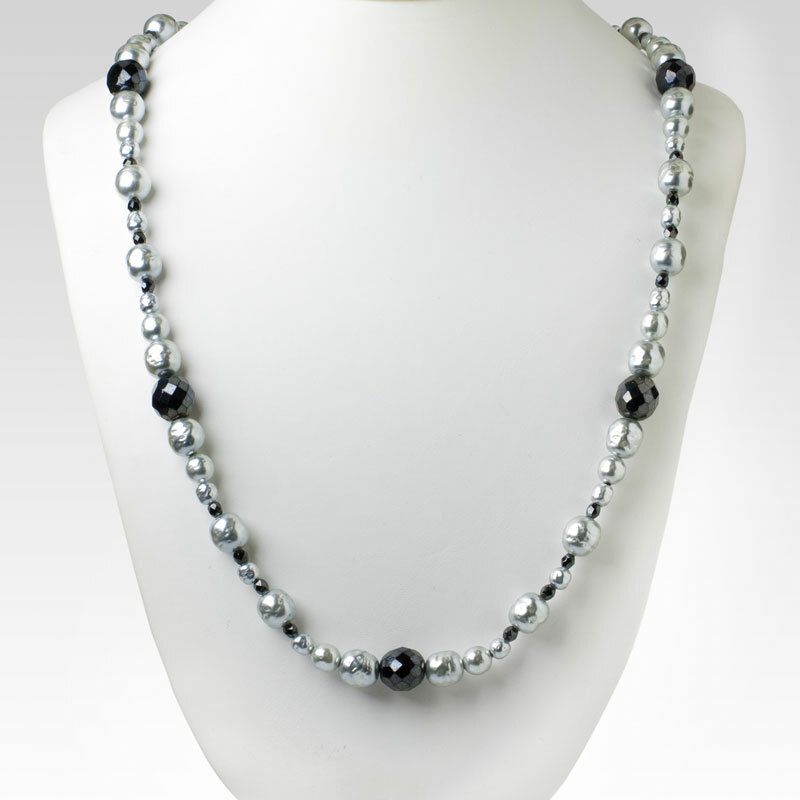 Learn more about pearls in this article.